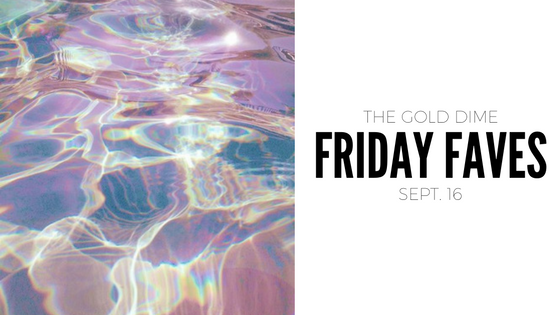 I swear I say this every time, but it's been a minute since I've done a Friday Faves. I guess the reason why is I really haven't been buying new products, just replenishing old ones. This week's Friday Faves is mainly beauty products with a few fashion pieces. I used to use this bronzer back in high school and I remember absolutely loving it. I was going through a bit of a bronzer 'crisis' at the end of summer - nothing blended well on me and more importantly the bronzer I was using was a bit too orangey for me. I remembered this gem when I was in Sephora and didn't hesitate to just buy it again. I think it's a great bronzer because it's a neutral tone and blends so nicely on the skin. It's also great for really pale gals like me! I got this gem super on sale at J.Crew this summer and to be honest, it sat in my room for a while before I started using it. Now that I have, it's the only one I use. It's so compact yet fits a ton, and super chic! It instantly adds a polished finish to any look. Unfortunately this one is sold out, but I know they come out with this variation of bag almost every year. In the meantime, I'm really loving these ones. 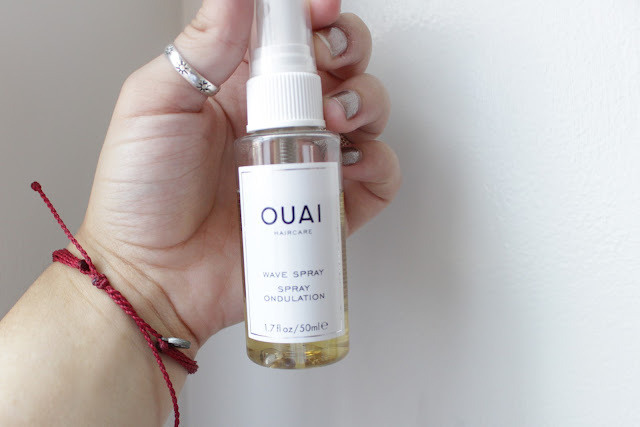 My blogging friend Ruth sent me this lil' sample size of the Quai wave spray! I'm LOVING IT. I've worn my hair straight lately so you might think I'm being hypocritical, but when I wear my hair wavy, this is ideal. It enhances your natural waves and smells musky + perfume-y (MY FAVE). It also just adds a lot of texture to your hair. Huge fan, thank you Ruth! THIS STUFF. I was on an extensive hunt for this for like two weeks towards the end of summer. I went to two Walmarts, two Targets, Walgreens, etc. Eventually I gave up, and I was told it wasn't even that great. Reviews said it was chalky and ashy, so I figured it wasn't meant to be. Then recently after I was in Walgreens with my mom and I finally found it. It's in a really weird spot, every store puts it near the nail polish (?). As for why I love it, I use it to bake my face. It's SO heavy duty, so I don't let it sit on my skin very long or I look dead (HAHA). I still got it regardless of the 'chalky' reviews, since I am pretty pale I didn't think it would be an issue. If you leave it on long before you brush away the excess it can get that way. I love this so much for one reason, my makeup lasts ALL day. You don't need a lot and this container will last months. I talked about this in my skincare routine and I told you I'd give you an update once I used it more. Well, I'm in love. I use it morning and night and I notice that my skin is more radiant and bright. I get acne scars but this clears them up within days. My skin in general looks so great without makeup because of this. I also think it's important to start finding a great serum for your skin at this age. I want to try the whole range of this from Origins, has anyone tried the mask or toner? Let me know! I don't think it'll shock anyone when I say I've been really into denim lately. 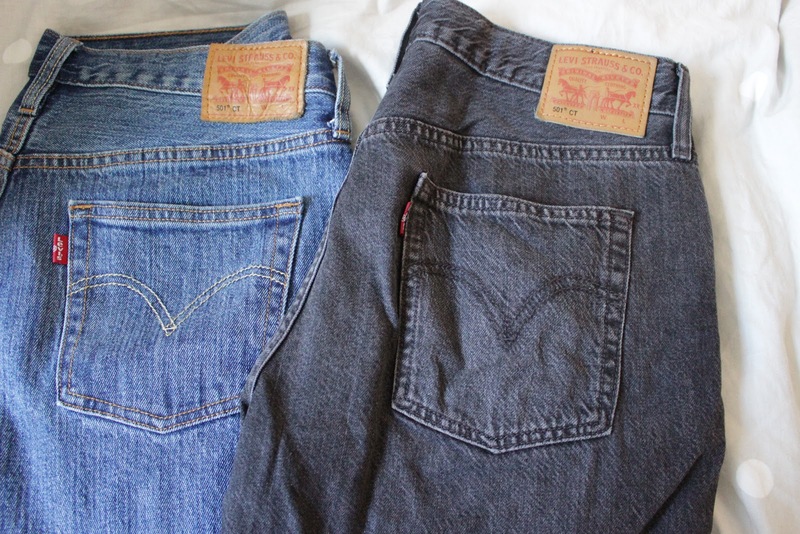 I recently picked up another pair of 501 CT's from Levi's. I can't believe I haven't done a post with them yet, so I wanted to mention them. Of course, Levi is such a classic American brand so I'm all about supporting them. But the jeans really are incredible and affordable. These feel like I'm wearing sweatpants (too far?). To me they're kinda boyfriend fit, but slightly cropped. I love throwing these on with a simple t-shirt, sunnies and slides; it looks so effortless. That's it for this week, xo.